In today’s preview, we look at one of the many tools offered in the DMG—creating a new race. 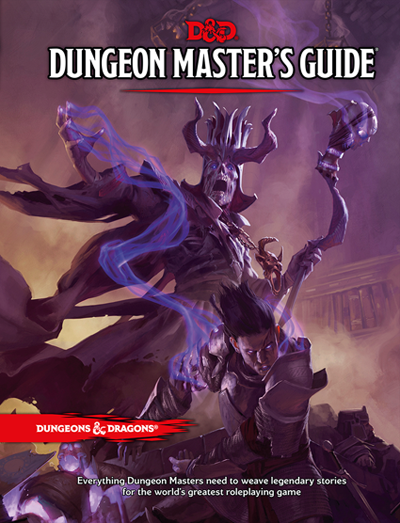 If the options for player characters in the Player’s Handbook don’t meet all the needs of your campaign, you can consult Chapter 9 of the DMG: Dungeon Master’s Workshop for advice on creating new race, class, and background options. Why does my campaign need the race to be playable? What does the race look like? How would I describe the race’s culture? Where do the members of this race live? Are there interesting conflicts built into the race’s history and culture that make the race compelling from a storytelling standpoint? What is the race’s relationship to the other playable races? What classes and backgrounds are well suited to members of the race? What are the race’s signature traits? In the case of a new subrace, what sets it apart from the other subraces of the parent race? When creating a race from scratch, begin with the story and proceed from there. Compare your creation to the other races of your world, and borrow freely from the traits of other races. As an example, consider the aasimar, a race similar to the tiefling but with a celestial heritage.